Dr. Steven M. Balloch is a leading dentist serving the greater Hartford area. Using state-of-the-art technology and advanced general, cosmetic, and restorative dental care treatments, he helps patients have the healthiest and most beautiful smiles possible. A number of people hear that they are good candidates for deep cleaning (aka root planing and scaling), and yet they assume that deep cleaning is like a more thorough polish and floss. That's not the case at all. Let's cover the basics of deep cleaning treatment, starting with problems associated with plaque and tartar. Plaque is the root cause of tooth decay and cavities. Plaque is the sticky biofilm that is created by oral bacteria as it feeds on the food particles that are located between your teeth. The plaque gives the oral bacteria a surface on which to remain on the teeth. If plaque is not treated properly and remains in place uncleaned, the plaque will harden into tartar, which is much harder to remove and can exacerbate the progression of tooth decay. Deep cleaning refers to the careful scraping of tartar and plaque from the teeth. You may know this process better as root planing and root scaling. The deep cleaning process differs greatly from traditional dental cleanings. Traditional dental cleanings will involve a regular polish of the teeth and careful flossing. Deep cleaning will use scraping tools and special techniques to really remove the tartar deposits and plaque that's been built up over time. Root planing and scaling are considered synonymous by many people, but they are actually two separate parts of the deep cleaning process. 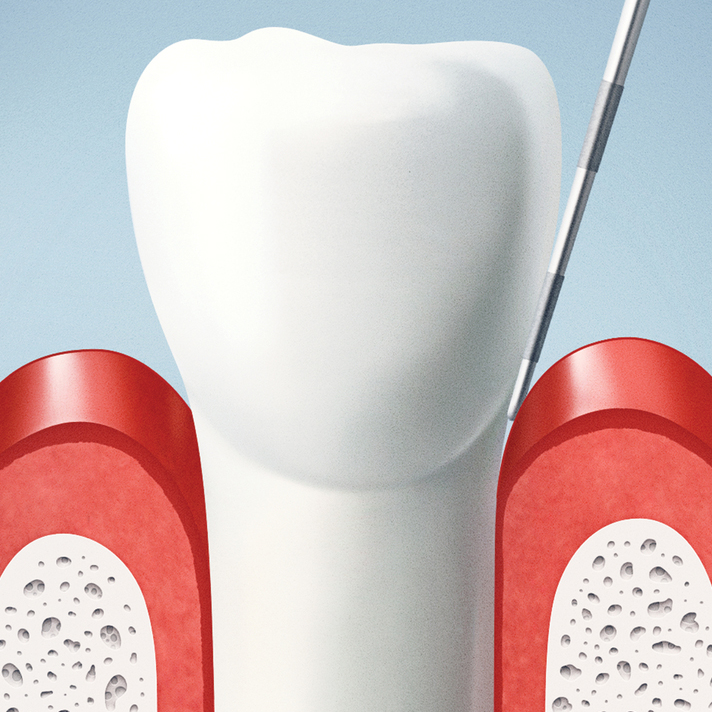 Root Scaling – Root scaling is a process in which the plaque and tartar is scraped off of the surface of the teeth. Root Planing – Root planing is a process in which the rough and damaged portion of a tooth that's been decayed is smoothed down. Together, this process helps patients have smiles that are healthy and beautiful, helping prevent tooth decay, gum disease, root canal infections, and many others kinds of dental wellness problems. The best candidates for root planing and scaling are people who have experienced issues with excessive plaque and tartar buildup. They should be due for a major deep cleaning procedure, as many people are at one point or another. Most people will have a deep cleaning performed every few years. During root planing and scaling, local anesthetic is used to reduce pain and discomfort during treatment. A dentist and dental hygienist work together to scrape away the plaque and tartar, working extra carefully in those hard-to-reach places that are difficult to keep clean. In general, patients will have just a quadrant or half of their teeth treated during a standard deep cleaning treatment. This is a common sense way to address major issues with dental wellness. Since local anesthetic is used during the deep cleaning process, restricting treatment to just part of the mouth helps ensure that patients are still able to speak and chew with relative ease throughout the rest of the day. In addition, careful root planing and scaling takes time, so limiting the amount of teeth treated will help keep treatment times reasonable. Some gum and tooth sensitivity is common after root planing and scaling, as is residual numbness from the use of local anesthetic. Patients should avoid food that are spicy, excessively hot, or excessively cold for dinner that evening in order to avoid gum irritation or tooth sensitivity. Patients should brush and floss as they normally would in the evening, but do so gingerly to avoid pain and discomfort. For more information about root planing and scaling and how you can achieve a healthy and beautiful smile, be sure to contact our cosmetic and restorative dentistry center today. Dr. Steven M. Balloch and his team are here to help you achieve excellent dental health.